ArtWalk@Wessex, where Art is a walk in the Park. 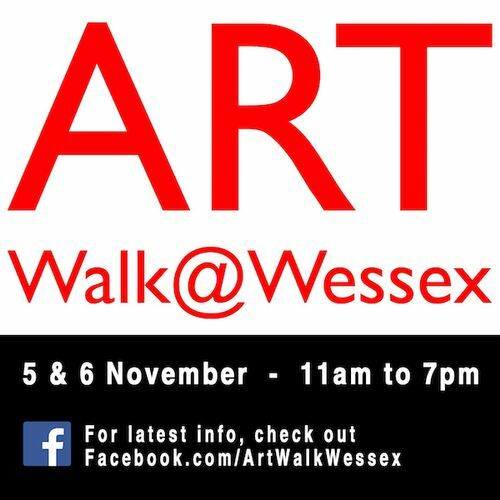 ArtWalk@Wessex is happening again on 5 & 6 November (Saturday/Sunday) from 11am to 7pm. Come and spend a fabulous weekend with the artists and explore our open studios. For more updates, please check out our Facebook page www.facebook.com/ArtWalkWessex.